Send flowers for birthday online. Order online flowers at a good price. ❶ Send flowers for birthday online. Order online flowers at a good price. Fresh flowers will be a wonderful birthday present. To send flowers for birthday online offers the best online floristic shop of Riga and all over Latvia KROKUS. Fantastic bouquets and arrangements at competitive prices, as well as the services of express courier service are waiting for you! Order online flowers on our website or by calling the operator of KROKUS studio by phone +371 200 303 06. Applications are accepted twenty-four-hour! A birthday bouquet of flowers is the best gift that will leave the brightest emotions and pleasant impressions to the gifted. How to send flowers for birthday online in Riga (Latvia)? Modern development of technologies allows us to make purchases in the Internet easily. Today we can easily buy equipment, food, clothes and other goods using a computer or a smartphone. Even an order of services in the network is already something ordinary. 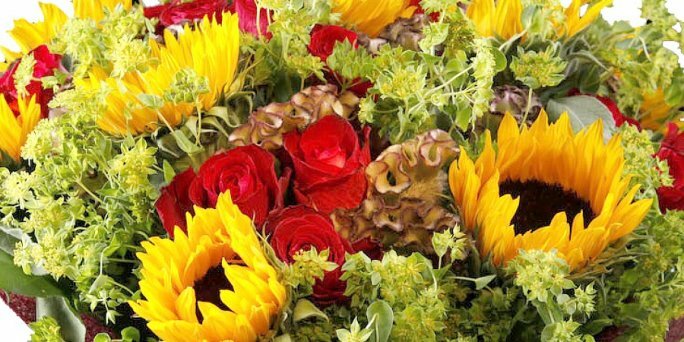 To send online flowers from anywhere in the world at the address in Riga (Latvia) is not an exception. You can send flowers for birthday online to Riga using the services of our studio! The bouquet has become a universal and affordable gift for everyone. With it you can congratulate a birthday person, express your feelings to your loved one, ask for forgiveness, etc. To send flowers for birthday online or any other holiday in Riga (Latvia) is possible using the online shop KROKUS. ● bouquets in the form of a heart, lush mixes from garden flowers, arrangements in cardboard boxes and even cakes. The original solution is to complement a birthday bouquet of flowers in Riga (Latvia) with an interesting gift, such as a soft toy, a souvenir, chocolates, a box of kinder-surprises, a fruit basket. In addition, balloons, caps, holiday candles, greeting cards will help to make the holiday more bright and cheerful. All this can also be purchased in shop flowers online KROKUS in Riga (Latvia) at an adequate price. You will find the best flowers online in Riga at the lowest price only in our floristic studio! Order a chic bouquet with delivery today! You can arrange the delivery of birthday flowers online in Riga or other cities of Latvia on the website of our online shop in a few minutes. To do this, select the desired arrangement and add it to the shopping cart. After that, supplement the goods with a postcard and a gift, and when registering the purchase, indicate the desired time and place of the delivery of the bouquet. Further all the work on creating a unique flower masterpiece and sending it to the recipient will be undertaken by specialists of the company KROKUS. Be sure, the gifted will receive flowers just in time, and the courier will give your warmest wishes!